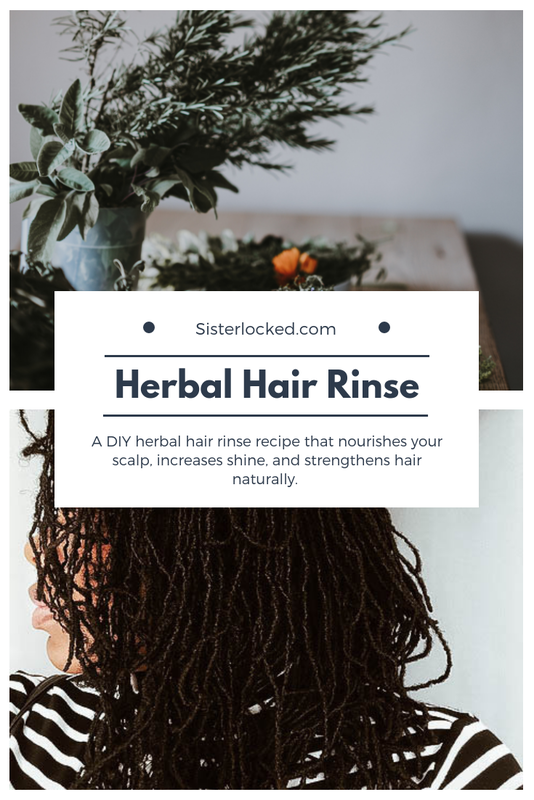 A DIY herbal hair rinse recipe that nourishes your scalp, increases shine, and strengthens hair naturally. 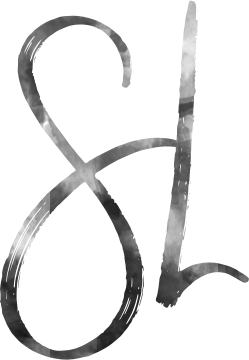 Most hair care items, even the natural ones, strip the natural oils from our. A vast majority of shampoos also contain ingredients that coat the hair to replace the natural and vital oils that they strip. A great herbal hair rinse features nutritive herbs that feed the scalp for healthier, stronger hair. The apple cider vinegar softens and cleanses, without removing the scalp’s natural oils. In a quart-size glass jar combine all of the herbs. Cap the jar and shake to mix. Fill the jar 1 inch from the top with apple cider vinegar. Cap it tightly, and shake well. Keep the jar in a cool, dark place for 2-4 weeks. Shake daily. After the first few days you may notice that the herbs have absorbed some of the vinegar. Just top your jar off with some more vinegar so that it stays about 1 inch from the top. After the herbs have infused into the vinegar for a few weeks, strain them with a cheesecloth or a clean old t-shirt. Store completed herbal hair rinse in a clean glass jar. When ready to use dilute it with 1 part of distilled water. The vinegar concentrate will preserve indefinitely; however water will encourage mold and bacterial growth, so don’t store the rinse pre-diluted with water. Mix equal parts of the prepared herbal hair rinse and water together in an empty clean container. Apply diluted rinse to clean, wet locs as leave-in or briefly rinse with distilled water. Use the following as a guide but you may need less or more rinse depending on the texture and thickness of your hair. 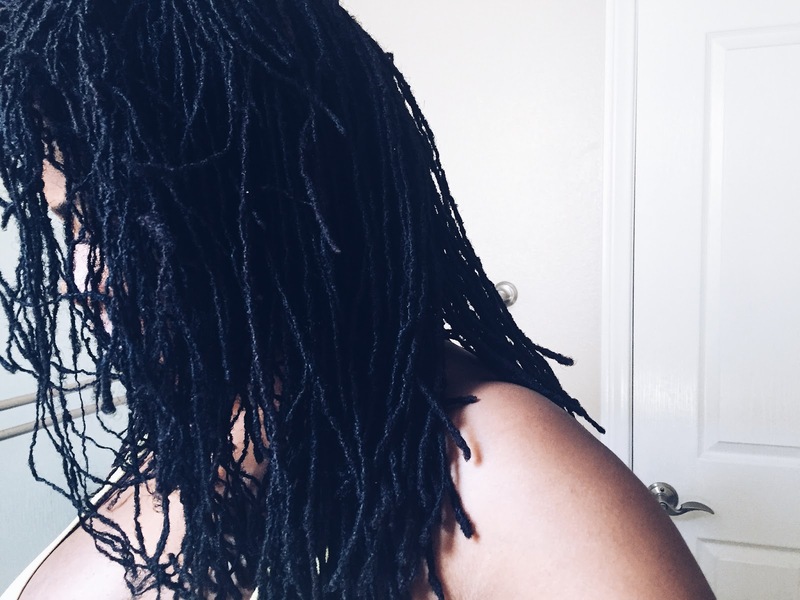 Tip your head back and slowly pour over locs until saturated. Adding rosemary stimulates hair follicles and encourages hair growth while strengthening hair at the root. It is also a slight astringent, which works to strengthen the hair follicles and prevent hair loss. Lavender calms inflammation on the scalp and increases circulation for better growth. Containing high amounts of silica to strengthen hair strands. Horsetail is rich in calcium, magnesium, bioflavonoids, chromium, potassium, copper, and iron. A wonder herb full of vitamins and minerals. You’ll find vitamin A carotenoids, vitamins B, C, D, and K, as well as chromium, silica, calcium, magnesium, boron and others. By nourishing and increasing the health of the scalp, nettle makes hair naturally stronger and more vibrant. 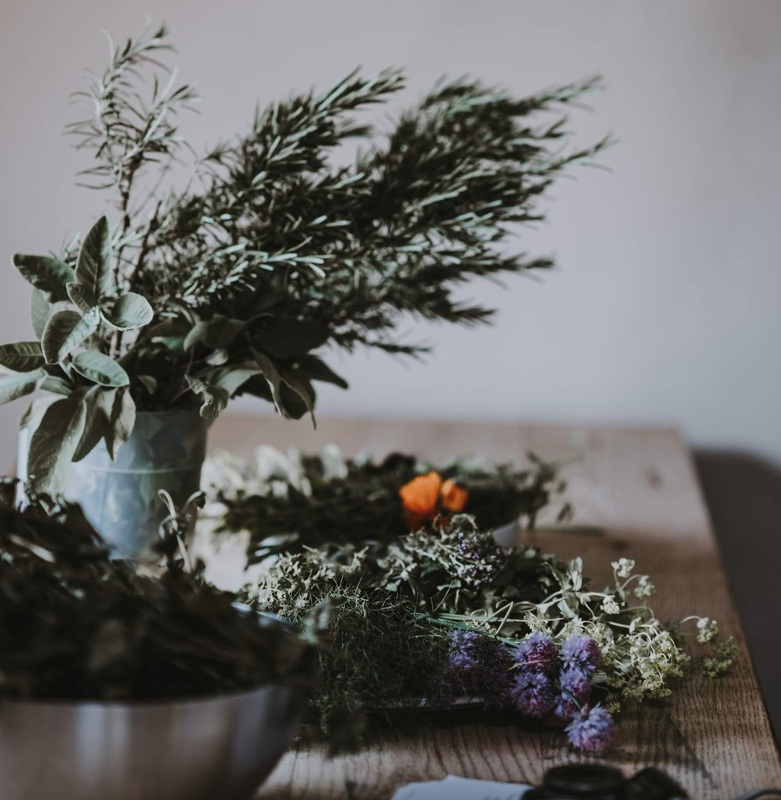 Similar to the other herbs in the mix, basil feeds the scalp, but plays a special role as it also detoxes the body by removing toxins and heavy metals. Basil also promotes hair growth as it nourishes with vitamins A and C, flavonoids, and polyphenolic acids. An apple cider vinegar helps clarify and smooth hair cuticles – the secret to shiny hair! Use the herbal rinse bi-weekly or monthly according to preference. Use this hair rinse in-between shampooing.